I recently started tightlining my eyes (applying a liner right at the base of the lashes, coming up from the underside of the upper eyelid). For more about this technique, see here: http://www.xovain.com/how-to/how-to-tighline-your-eyeliner-gif-tutorial The first time I tried it, I used a matte Urban Decay 24/7 pencil. The pencil is kind of clumsy for getting in and around the lashes. But I was sold on the technique, and the waterproof pencil stayed on with no irritation. I thought a brush would be an easier way to work the liner into the lash line. So I purchased the Laura Mercier cake eyeliner that you activate with water. I'm having mild irritation from it. So I'm wondering what other people use to tightline their eyes. I've heard you can also use a waterproof gel eyeliner--your favorites? Ones that don't irritate near the waterline? Revlon ColorStay works well for tightlining. I love the look of tightening, but the eye docs I have asked about it REALLY do not like the idea. Thanks for the info Lindygirl! That is good to know that eye docs don't like it. Maybe it will have to not be an every day thing for me. I am wondering if the remover is irritating me more than the liner. So I'm thinking of switching to just an oil--like mineral oil--to keep things simple. With my oily skin I don't use cream shadows, they crease like mad. Powder stays put much better for me. I do have a suggestion that might help. I am not sure it would work with a cream shadow underneath, but you can always experiment! For times when you are using liner on the outside of the lashes, not tightlining, apply the liner and then go over it with a powder eyeshadow in the same or nearly same shade. It makes for liner that last all day long on me. I line with dots and dashes, the line doesn't have to be absolutely perfect, then take either a push brush (straight bristles) or a liner brush (slanted bristles), get the powder shadow on the tips and trace over the pencil liner you already applied. Thanks for the suggestion! I will try this, although admittedly I have limited eyeshadows in my collection, and very few dark ones (but I could acquire some). My project is to learn to tightline my lashes from above, not below. I'm practicing with an angled eye lining brush. If I can learn to do this, I can use my cake eyeliner which does not budge. And avoid the irritation that comes from tightlining the underside of my upper lids. My experience with the Laura Mercier cream shadows (caviar sticks) is that they don't budge--precisely why I like them for my oily lids. BUT what they do do is cause my creamy waterproof eye pencil to budge... So it's a matter of incompatible (or, in this case, overly compatible) product formulations. The cream shadow maybe acts as a solvent and dissolves some of the creamy eye pencil. thicken my eyelashes, or to make them looking good, I do it. Yes, Tightlining can be a good option. Tightlining, involves lining your eyes with eyeliner tighter than regular applications of eyeliner. With tightlining, creating a far more natural look. I use the ELF cream gel liner with an angled brush. Seems to work really well and stays. It doesn't stay it's waterproof, but I went swimming with it on and it did not smear or run. It comes off fine with makeup remover. I had been doing this too but FYI: I am right as we speak about to leave for MD appointment to deal with apparently some kind of very severe 'drug hypersensitivity' found in a biopsy dermatologist did upon a massive strange reaction all over my body which so far has been unexplainable or traceable to ANY drugs I am taking regularly (like Claritin, etc.) or whatnot. Your question and the posts here have me wondering whether my recent increased use of tightlining may be at the root of this noting FIRST SYMPTOMS APPEARED IN MY EYES. So... can't wait to hear what the guys say here re this and thx for the question! I'm actually having great luck with the Laura Mercier cake eyeliner now. I just use water instead of activator, and it stays on fine and does not irritate my eyes at all. have you seen the tightline mascaras? they have skinny skinny applicators one can put at the root of the lashes. I've heard of those. That sounds good. i use felt tip eyeliner pens. since, like regular felt tip pens, they run out quickly so i buy the cheapest i can find. now about tightlining, i use the older felt tip eyeliner pen that's running out of ink for tightlining. a fresh new felt tip eyeliner pen has too much ink for tightlining. i go right into base of lashes. not above and not below on waterline (eyelid rim). there is just enough ink to use on base of lashes. then when the felt tip eyeliner pen is too dry even for tightlining, i then use it for filling in bald spots on eyebrows. i wrap tape around the cap of the pen to separate the old eyeliner from the new. another use for fresh new felt tip eyeliner pen - i got this from the Wayne Goss website - it can be used as a setting product for eyelashes before curling them with an eyelash curler. then, when the eyelash curler is used, there is just enough of a coating on the lashes to keep the curl intact. Warning: I am just now recovering from a huge eye infection thing which ran all along lid line. Just prior to this, I had been tight lining for about 3 months. I can't help but believe the tight lining - despite my meticulous cleaning of every thing I used both before and after - either caused this or certainly aggravated whatever did cause it. So BEWARE!!! $100 of special Rx antibiotics for the eye and MD visits are just too high a price. tightlining from waterline does not seem safe. i go into the lashline from above the lashline. coloring the inner rim is just too strange for me. makes it look like an animal's eye rather than a human's eye. I like to use a kind of creamy eye liner. Too Faced Perfect Eyes Waterproof eyeliner is nice. Rimmel has a waterproof pencil that works well for me. I'm not too pickey when it comes to pencils to tightline though. I find it doesn't irritate or get into my eyes, lining the bottom waterline is worse in that aspect for me. When tightlining I try to focus on just the lash line avoiding the waterline as much as possible. Just a side note, if you're doing this frequently try to learn how to do it without pulling your upper lid up. You'll just be asking for wrinkles and skin sag. Thanks Dani. I never can do it without pulling on my upper lid. Here's hoping I don't stretch it too much! 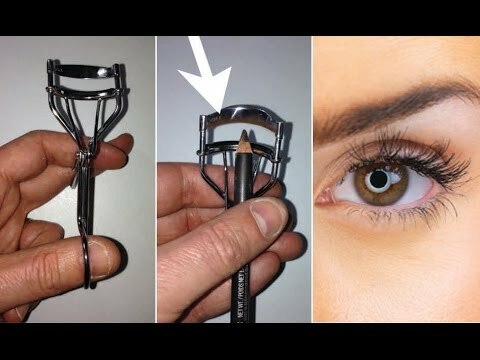 Hello Sarah, saw this on Wayne Goss' youtube channel which could be interesting about a new method of tightlining/lining called "the most amazing makeup tip you will ever learn" (in case the link below doesn't work).Tell me if it works for you.